Optimising the development processes to ensure an efficient and quality product that is "Fit for Purpose"
Quality is key to everything we do at Tactiq. Many of the systems we develop are safety related whether they are medical, industrial, military or automotive. Even if they are not, then customers appreciate systems that are dependable and easy to use. An old view of achieving quality is through inspection and test to make sure the product has been built and works as expected. Testing is important but test of the finished product breaks down with the sort of complex products that Tactiq develop. The development process and design must all support the achievement of a high quality result. Tactiq is accredited to ISO 13485 for the development of medical devices. A formal quality management system that is audited internally and externally by a notified body helps ensure that we follow good quality processes and deliver systems to the highest levels of quality. 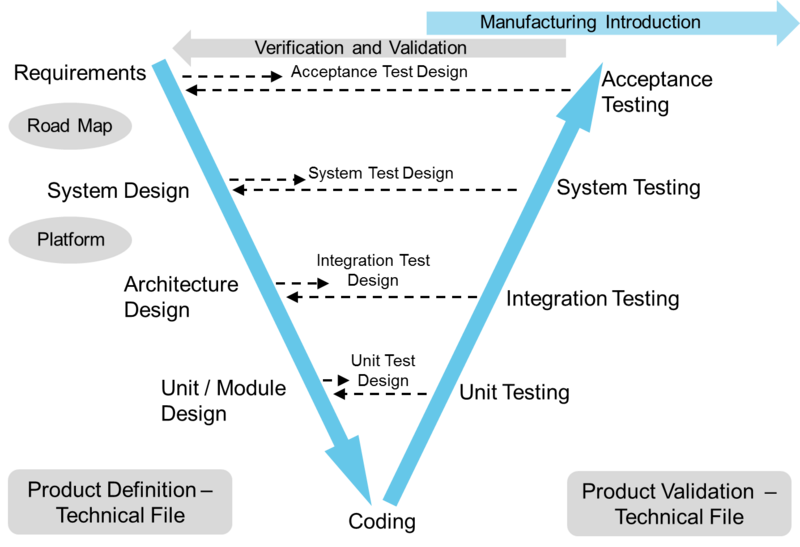 The V-model is used as a model of outputs and to support verification with a iterative/incremental development strategy particularly for software. This fits well with the regulatory requirements for medical and other devices. At the start of a project Tactiq identifies the key standards, technical and safety risks and creates an architecture and development plan to meet the needs of each project. This fits well with medical software for example where the regulatory requirements are based on the risks created by a software failure. The third edition is the current standard although the second edition still applies if a device specific 60601-2 standard harmonised to the third edition has not yet been issued. The safety standard for laboratory electrical systems including in-vitro diagnostic devices (IVDs). The safety standard for general IT equipment. A key process for the development of any medical device. Defines the minimum standards for processes used in medical software development and maintenance. Integrated with ISO 14971 risk management. Usability and usability engineering is important in ensuring safety and customer acceptance. The control of usability risks is integrated with ISO 14971. 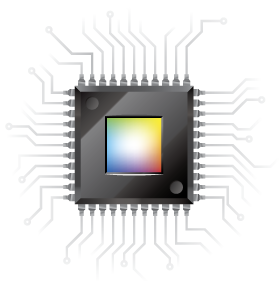 61508 is applied directly in many industries but is also a foundation and reference for more specific industry safety standards such as ISO 26262 for road vehicles.